Tomatoes are delicious, sweet and juicy. Everyone knows they are good, right? Yes, sure. But do you know specifically why tomatoes are a healthful food? They have vitamin C but that is not all! There are several reasons to stop at your local market and pick some tomatoes up. Let’s look at what makes the tomato an excellent healthy choice. One cup or 150 grams of raw, red and ripe tomatoes is a good source of Vitamins A, B6, C, K, potassium and folate. 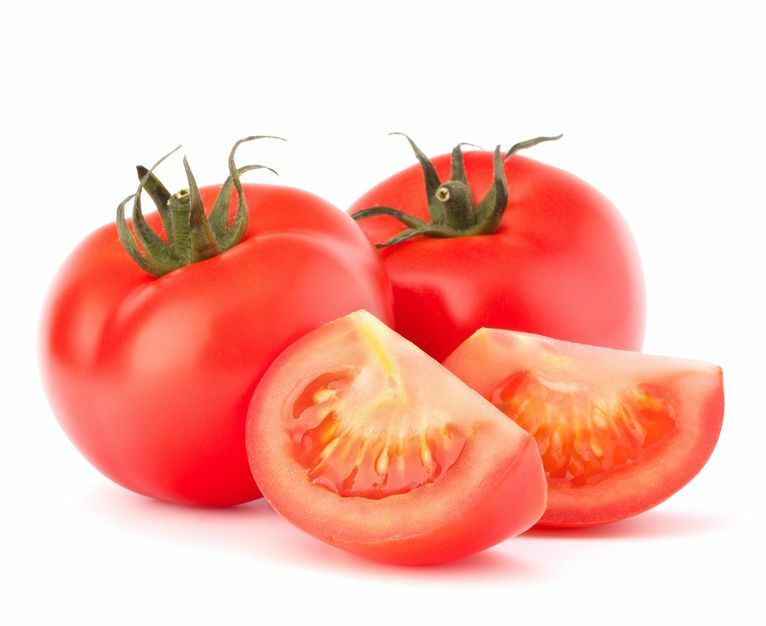 Tomatoes are low in saturated fat, calories sodium and cholesterol. They provide niacin, thiamin, phosphorus, magnesium and copper, all of which are necessary for your health. One serving of tomatoes gives you two grams of fiber, which is 8% of the daily recommended amount. Relatively high water content makes tomatoes a filling food. In general eating plenty of vegetables and fruits, including tomatoes, offers protection against high cholesterol, high blood pressure, heart disease and strokes. 1 tomato packs 1 powerful punch of nutrition. ß- Carotene, also found in carrots, helps protect your skin against sun damage. Lycopene in tomatoes also makes skin less sensitive to UV light damage, which is a leading cause of wrinkles and fine lines. Calcium and the vitamin K in tomatoes are both very good for repairing and strengthening bones. Lack of lycopene in a menopausal woman’s diet has been linked to osteoporosis. Lycopene has been shown to improve bone mass, that is why eating tomatoes is a great way to fight osteoporosis. 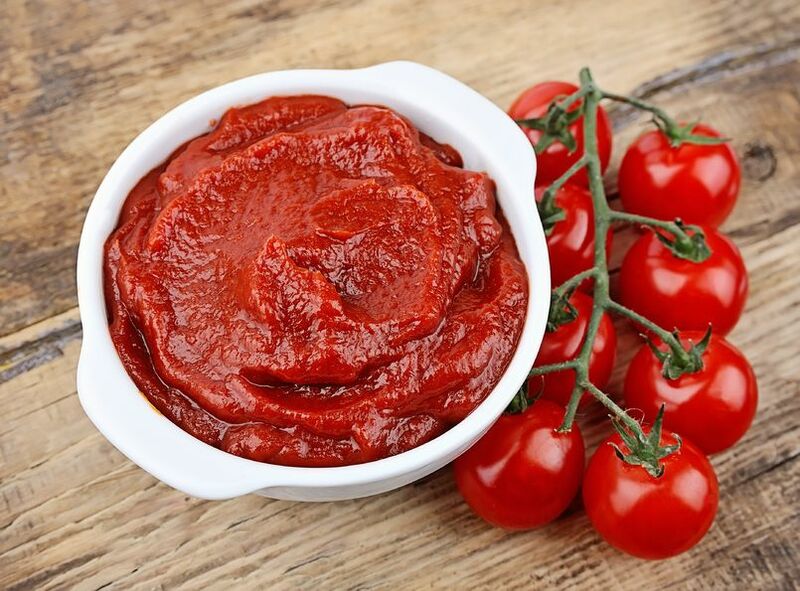 Lycopene can reduce the risk of various cancers, including mouth, throat, esophagus, pharynx, cervical, stomach, colon, rectal, prostate and ovarian cancer. Antioxidants- vitamins A and C found in tomatoes fight the free radicals which can damage your cells and cause several cancers. 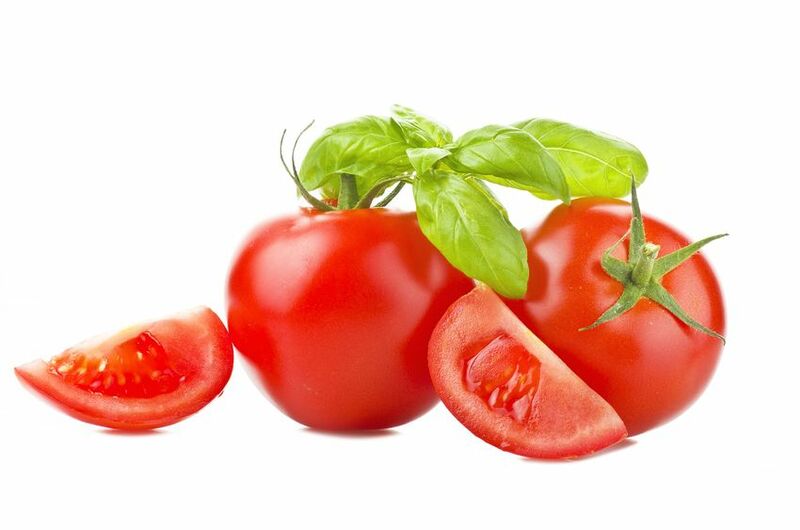 Tomatoes are a wonderful source of chromium, which helps to regulate your blood sugar. The vitamin A that tomatoes are full with can improve your vision and help prevent night blindness. Recent study shows that consuming tomatoes might help reduce the risk of macular degeneration, a serious and irreversible eye disease. The vitamin A provided in tomatoes works to make your hair shiny and strong. In fact tomatoes can’t help much with thinning hair but they will make your hair look much better. Numerous studies suggest that kidney and gall stones are less likely to form in people who eat tomatoes without any seeds. If you are one of the people who deal with mild to moderate chronic pain like arthritis and back pain, tomatoes can be a pain-reliever. Tomatoes are high in carotenoids and bioflavonoids, which are known as anti inflammatory agents. Chronic pain often is caused by chronic inflammation, so fighting the inflammation is a smart way to fight the chronic pain. If you are on a healthy diet and workout plan, bring in lots of tomatoes into your everyday meal. They make a great snack and can be used to bulk up casseroles, sandwiches, salads and other meals. Because tomatoes contain lots of fiber and water, they are what weight watchers call a filling food, one of those foods that fill anyone up fast without adding a lot of fat or calories.